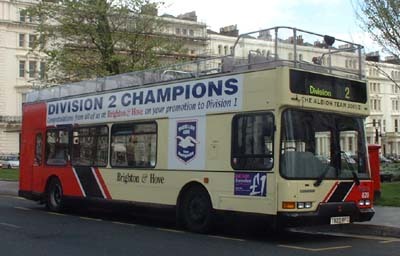 Connections with Brighton and Hove : To celebrate the Albion becoming Division 2 Champions, Dame Flora Robson was renamed in April 2002 for a month. 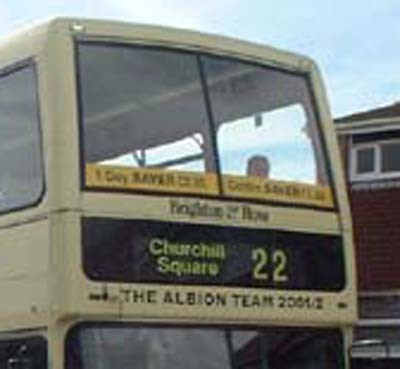 820 Dennis Trident convertible open topper carried name during May 2002 only. 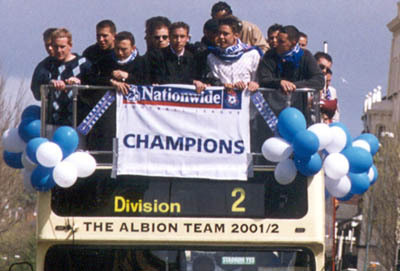 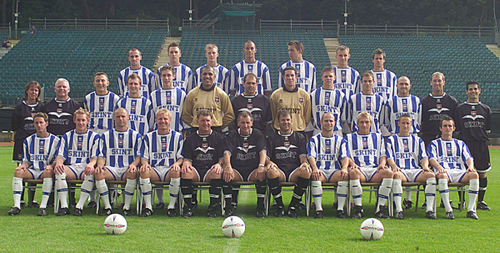 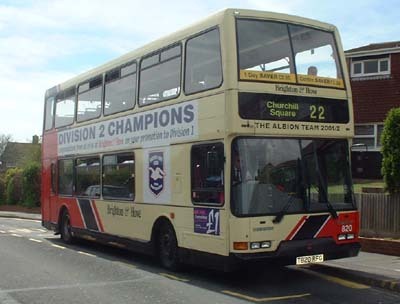 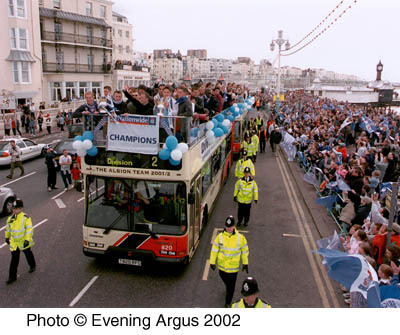 The Albion Team on parade in their Open Top bus.